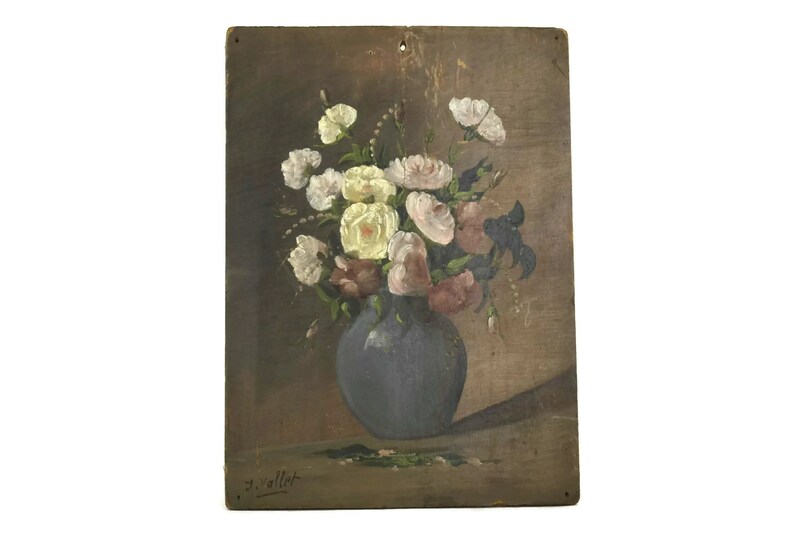 An exquisite antique flower still life oil painting dating to the late 1800s. 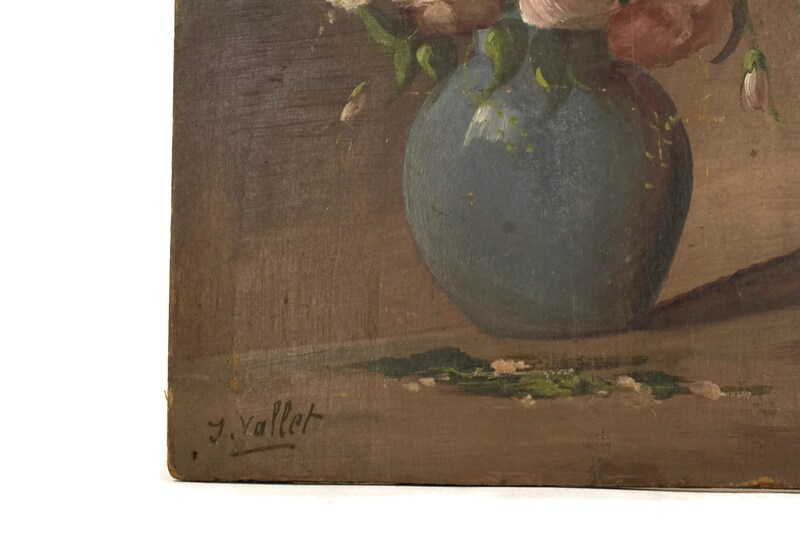 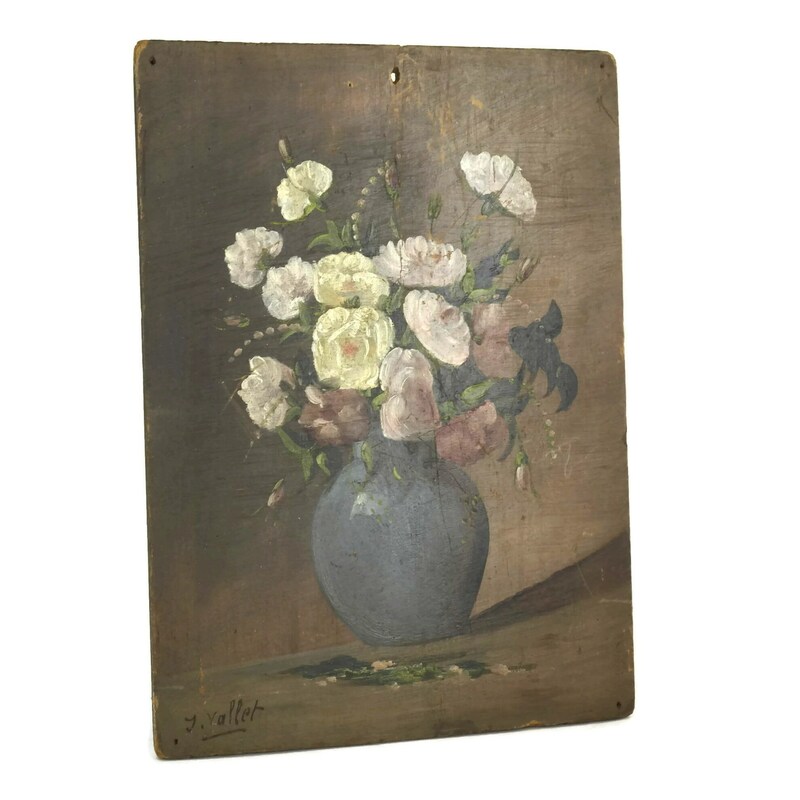 The small original work of art has been painted on a wooden board and has been signed by the artist J. Vallet (for Jean Vallet) on the bottom left corner. 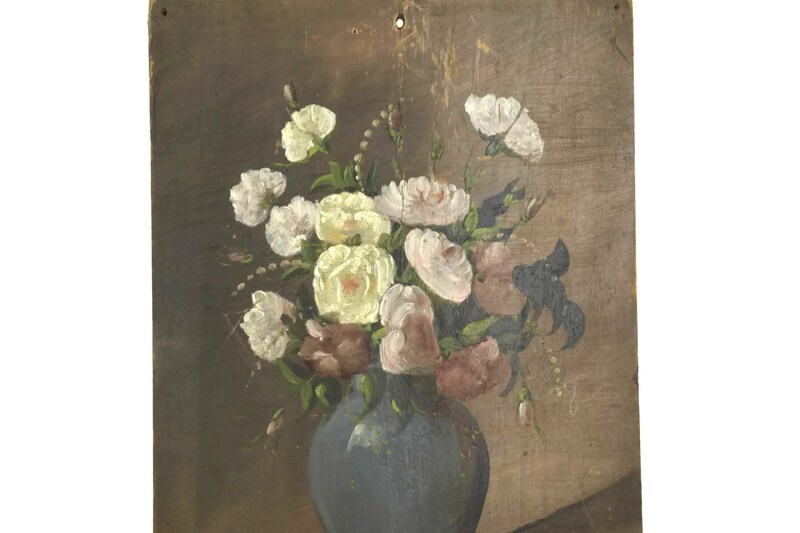 The piece features a bouquet of pink and yellow roses in a light teal blue vase. 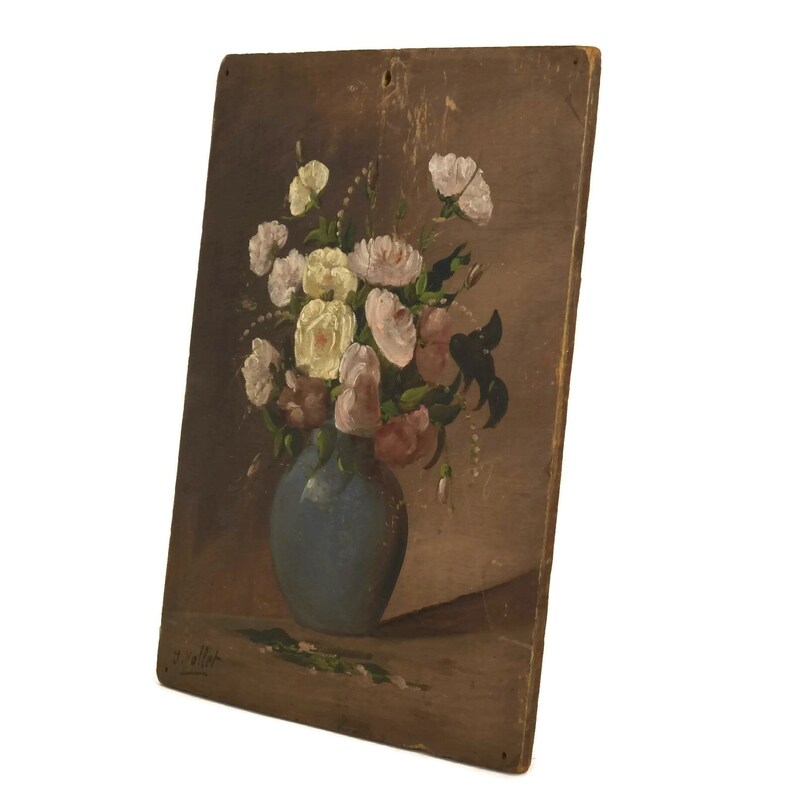 It will make a great addition to your shabby French country decor or a beautiful gift for her. 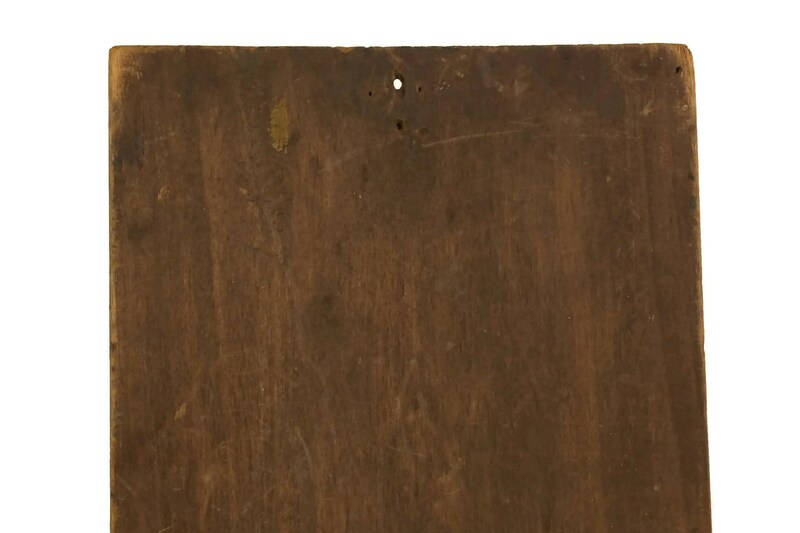 6 1/4" wide x 8 3/4" high (16 cm x 22 cm). 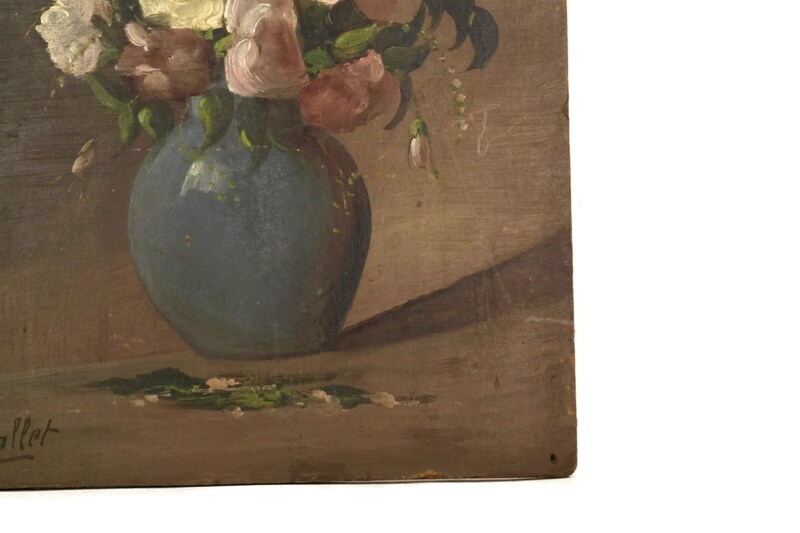 The painting is in good condition with age-appropriate wear including patina and light surface marks, scratches and wear to the painted surface. 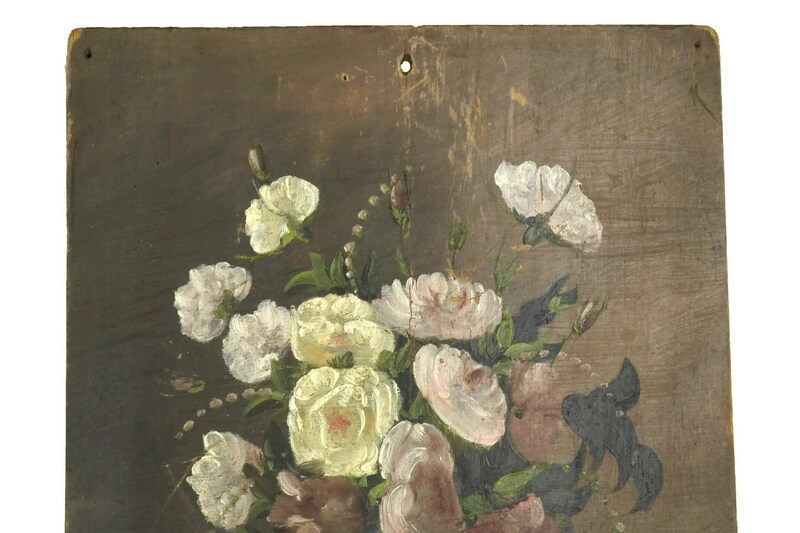 There is a hole at the centrer top of the wooden board which was probably used to hang the painting. 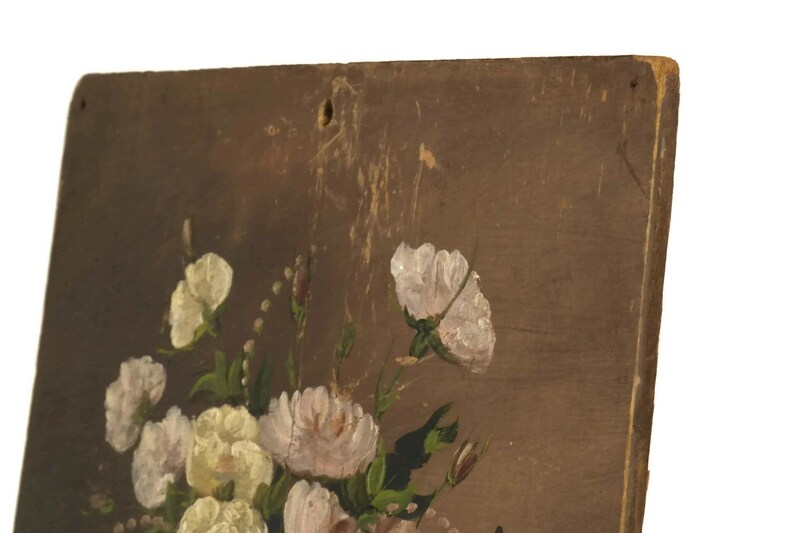 There are also four small nail holes in each corner of the painting. 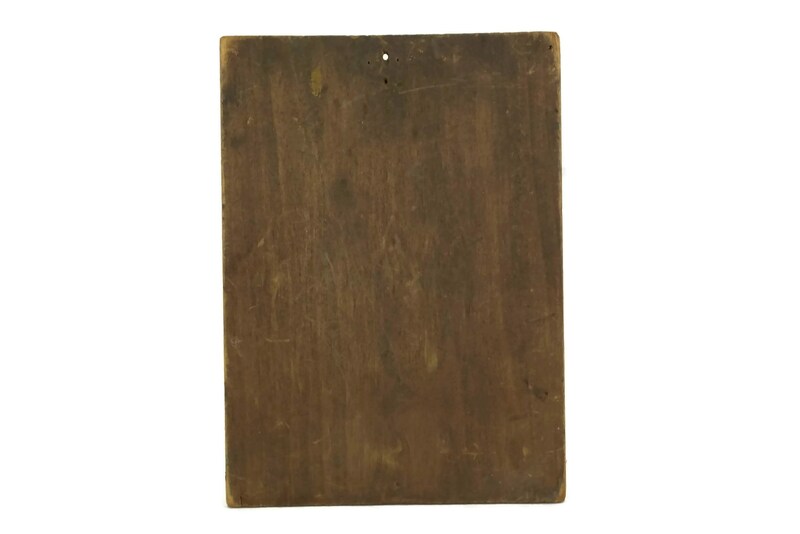 The wooden board has a slightly convexed form.